A beautiful spotted Owl in miniature? What a hoot! 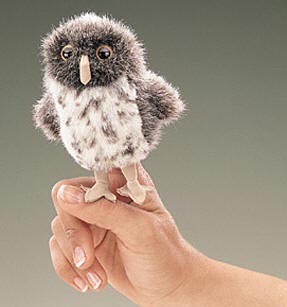 As a puppet, he perches on your finger, ready to dispense owlish wisdom. Whooo could be cuter? 4" Tall.